Today I’m really excited to announce the release of Nodemailer v4.1.0. If you have everything already set up regarding email sending then you probably do not care too much about this release. If you are currently building something or plan to build an app that, amongst other things, sends email, then this new release might interest you. where the first one generates an actually working email account out of the blue and the other one returns extra information about a delivery. These autogenerated accounts are not too real though, these are test accounts from Ethereal.email mail testing service. When an Ethereal test account is used then Nodemailer establishes a normal SMTP connection against Ethereal SMTP server, authenticates with actual credentials and the server accepts message for delivery, so nothing unusual about it. What is a bit unusual though is that the Ethereal server never does the actual delivery, it stores the message to the account of the authenticated user and that’s it. You don’t have to worry about unexpected deliveries where mail is delivered to actual recipients. Ethereal never sends any messages. 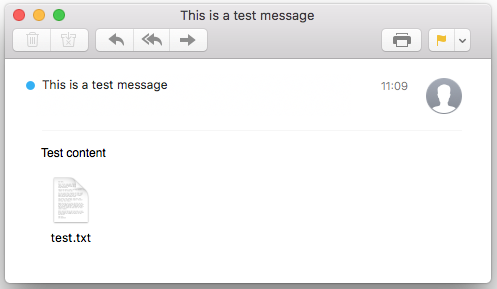 Finally, the getTestMessageUrl(info) method returns a web URL that can be used to preview the sent message in a browser. You can preview the message HTML, download the RFC822 source of the message or just check the message headers. You can store the autogenerated credentials and start using these as development credentials instead of spamming a real email account. Or if you do not want to then you can generate fresh credentials for every new test email, it’s your own choice. 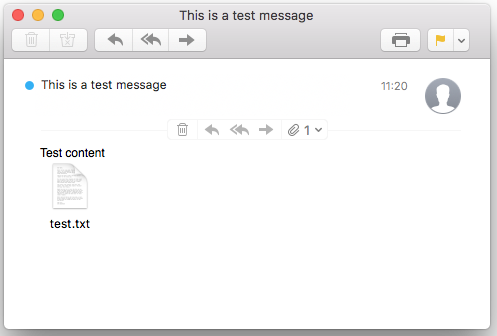 If you want to use IMAP to preview the sent messages then you probably want to use pre-generated credentials, otherwise it wouldn’t make much sense. v3.1.0 is a non-critical feature release. The main change is first-class support for AWS SES. If you are sending through SES then you do not need any plugins besides the aws-sdk module to use Nodemailer. The built-in SES support is an improvement over the previous nodemailer-ses-transport plugin. You can instantiate the aws-sdk object as you wish yourself instead of letting Nodemailer handle the setup. Rate limiting is vastly improved, Nodemailer guarantees the most optimal sending speed, without hitting the actual limits. There’s also an option to specify SES related mail options like Tags or ConfigurationSetName. If you use DKIM signing then Message-ID and Date fields are automatically suppressed from the signature, no special config needed. You can find all the details required to send mail with SES from the Nodemailer homepage.